It is well-known that RSA signatures such as FDH, PSS or PSS-R are as secure as RSA is hard to invert in the random oracle (RO) model. Such proofs, however, have never been discovered in the standard model. 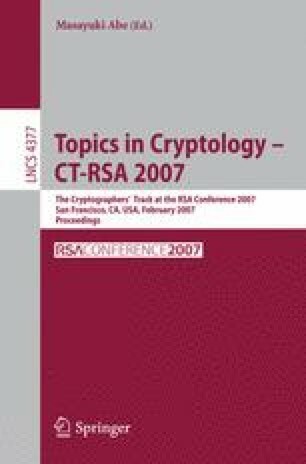 This paper provides an explanation of this gap by pointing out a strong impossibility of equivalence between inverting RSA and any form of unforgeability for a wide class of RSA signatures. In particular, our impossibility results explicitly assume that the public key is made of a single RSA instance, that hash functions involved in the signature padding are unkeyed and that key generation fulfils a natural property which we call instance-non-malleability. Beyond showing that any RSA-based signature scheme of that type black-box separates the RO model from the standard model in a strong sense, our work leaves the real-life security of well-known signatures in a state of uncertainty.